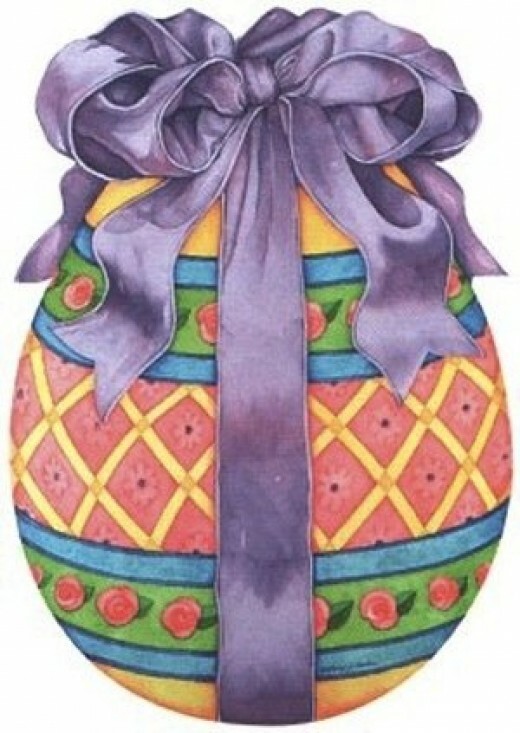 This is the best place to find Easter Beaded Cross Stitch Kits that are ready to use. I will also show you how to create unique personalized Easter Beaded Cross Stitch to make your own fabulous needlework projects. You will find beaded cross stitch and cross stitch videos as well as project ideas and design resources. I have included a short list of the essential supplies you will need to create amazing gifts for Easter including: Decorations, Easter Baskets, Framed Art, and more! Easter ‘bags’ are a great way to give unique gifts to your children, grand children, nieces and nephews. Any child you want to give a great gift is going to love these hand crafted cross stitch bags. Use them as gift bags to give amazing Easter gifts (candy, jewelry, toys). Embellishing Easter Cross Stitch projects with beads just adds to the fun of stitching and additional beauty to a cross stitch piece! If you purchase a finished stitched item that does not include beads, you can still add beads to the design to make it uniquely your own. For instance, on the bag in the photo, you could add a black seed bead for the eyes of the bunny to accent this beautiful picture. This would also be a great way to teach a child how to embellish cross stitch projects with beads because it would be fast and easy to add awesome detail. 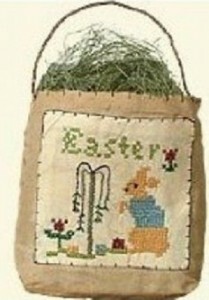 Simply purchase a burlap tote bag and attach your finished Easter beaded cross stitch project. This gives you complete control over the project to create a one of a kind Easter bag. You can adapt any cross stitch design to work for a Beaded Cross Stitch Project by adding your own beading thread and beads. Toho Round Seed Beads 11/0 #161 ‘Transparent Rainbow Crystal’ 8 Gram TubeCheck PriceMake your own Easter Beaded Cross Stitch Kit from any Cross Stitch Design by adding your own beads. I most often use clear beads which will allow the color of the thread to show through and will simply add a touch of “shine” to that stitch. However, colored beads could certainly be used for more dramatic color. This will allow you to expand the options you have and add a large variety of designs to the gifts you can make. Your projects will also become unique to you because you pick how you will create them by adding your own supplies to the kit! Embellishing a simple cross stitch picture with beads is really very easy. Consider the Easter Egg cross stitch picture above. I would add a purple seed bead at the center of each flower. That little embellishment would truly add an awesome accent! This is a digital PDF file which include the pattern and floss requirement information. You will need Adobe Reader in order to read the pattern. 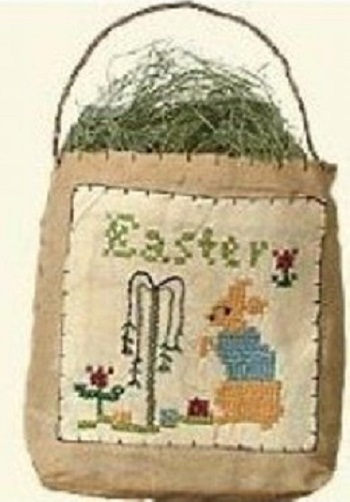 Find the best Easter cross stitch kits you can buy and add beads. Designs you select can be adapted for a variety of kits and projects. Maybe you want to buy the supplies to make a kit for someone else who enjoys doing beaded cross stitch? You can create unique gift kits for anyone on your list who enjoys crafting. Also, provide them this link (to this page you are reading) so they can refer to the videos as guides to making the project. 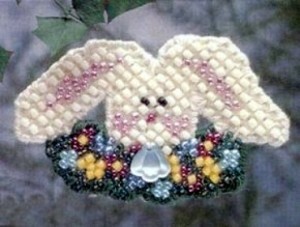 On this Bunny Cross Stitch picture, I would use clear or white seed beads to highlight the the tails of the bunnies. Did you know you can convert a photo to a cross stitch pattern online? I have paid to convert photos to cross stitch patterns in the past, but this site offers that service for free. Create a beaded cross stitch project with this colorful iron on design. Beads will need to be purchased separately. Iron on designs can be adapted for Beaded Cross Stitch just as any cross stitch design can be. One of the main things if you are going to buy an Iron on transfer design for beaded cross stitch that isn’t specifically for cross stitch, then you will want to be at least familiar with the cross stitch basics (see video above). Seed Beads are the most popular beads used in beaded cross stitch projects. Unique beaded cross stitch kits begin with choosing beads and beading threads. These are a few options you will find helpful to inspire you to choose your favorite beaded cross stitch kit supplies. Note: Beading Threads are only necessary if you are adding beads to a finished project. If you are adding beads as you work on a current cross stitch project, simply use the cross stitch floss. You can use a variety of colored beads and threads or use clear beads and clear thread (crystal clear — NOT WHITE). You will need to match the bead size to fabric or stitch size. If the bead is too small, you won’t be able to see the beads. An over-sized bead will not be attractive on your finished picture and will look improperly matched. The proper match of fabric and bead would be a bead the same size as a single stitch. If you are using 14-count Aida cloth, which is the most common size of Aida cloth used, the proper size would be a size 11 bead. Easy Easter Beaded Cross Stitch Kits – Great for Beginners! This kit is very easy and takes very little time to complete an adorable beaded cross stitch project! 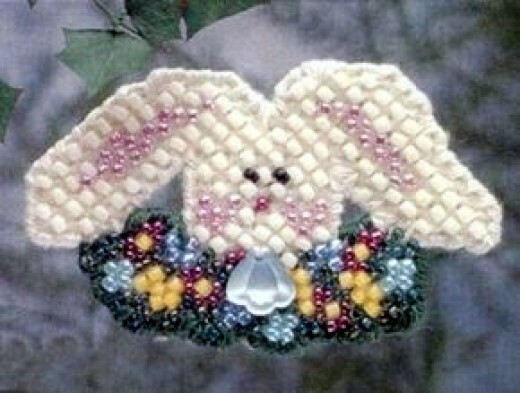 See More Easter Beaded Cross Stitch Kits that include the beads, by simply clicking HERE! I’ve always admired how beading can add such a lovely accent to a cross stitch project. Your Easter suggestions here are wonderful. I especially like the idea of creating your own Easter Bag using a fun Easter theme design. Ooo, time to think about getting my Easter crafts going. I love those charming bunnies. And beaded cross stitch looks easy to do. I have to try out some of your kits. What a fun treat.